Charlotte Tilbury Instant Magic Facial Dry Sheet Mask - a little pop of coral. 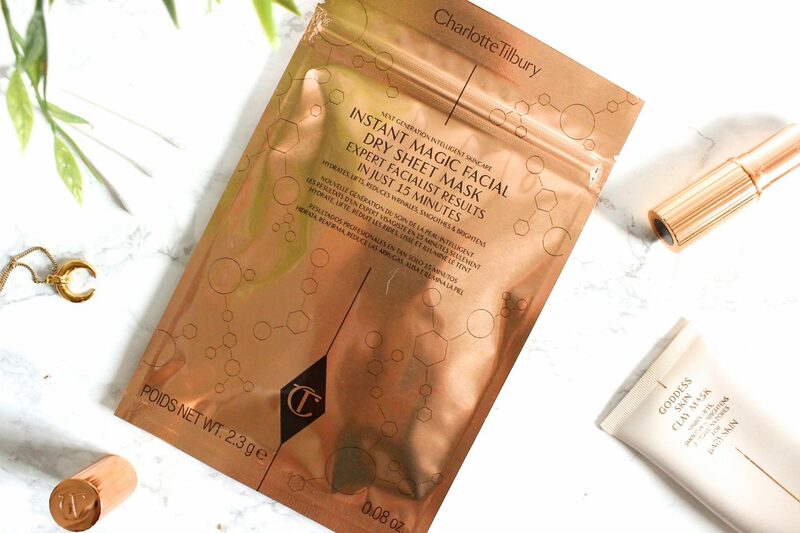 I love a good sheet mask when I get the chance, so of course I was extremely intrigued by the new Charlotte Tilbury Instant Magic Facial Dry Sheet Mask, which is of course dry. Now I quite like the feeling of a hydrating layer over my face, while I kick back for half an hour and let my skin absorb the goodness, so I was wandering how an earth a dry mask could do the same and live up to its claims to hydrate, lift, reduce wrinkles, smooth and brighten. As Charlotte Tilbury products always do, it sounded like the dream, so I was happy to put it to the test! The mask itself, is a fairly thick sheet which you apply pink side down and hook over you ears to ensure a firm placement. I love this feature on this mask, as it means that you can walk around with it on, without the fear of it slipping off you face. 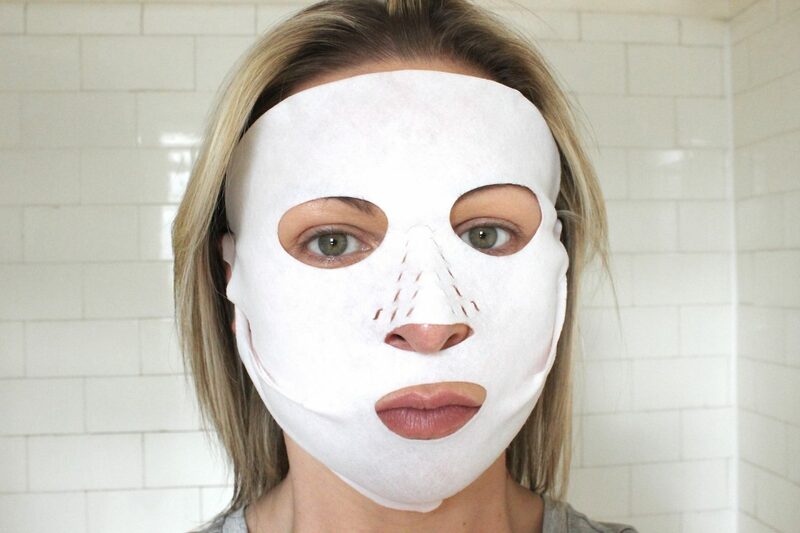 Once on, you are instructed to massage your face to activate the ingredients and then leave it on for 15 minutes, when you can then remove it and pop it back in the packet for its next use (this mask is good for three uses!). It is quite a weird sensation to wear a dry mask, as you can’t really feel it do anything. I am so used to applying either wet hydrating masks or clay-type mask that you can feel working on the skin that this was quite different to anything that I had used before. I was therefore quite skeptical about how it was going to work, but when I removed it my skin immediately looked glowing, any redness I had was calmed and it felt hydrated and nourished. My skin also felt firmer and generally more radiant. 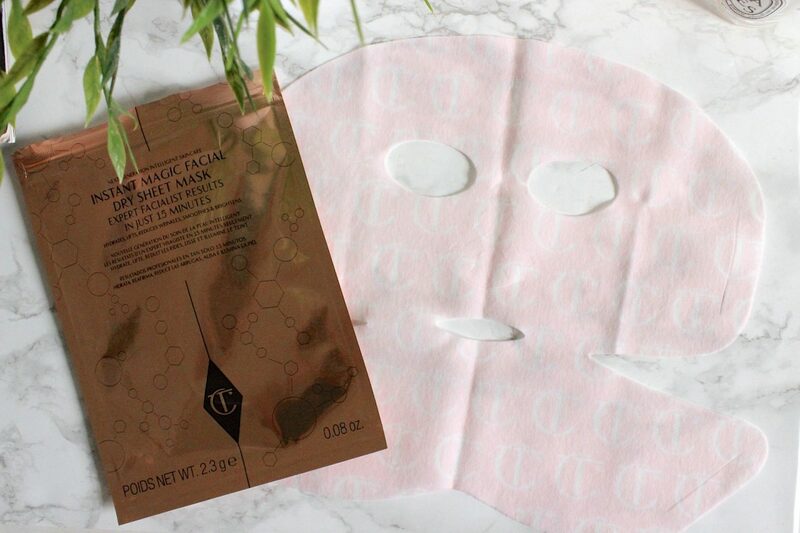 I am extremely impressed with the Charlotte Tilbury Instant Magic Facial Dry Sheet Mask and it is definitely one I would have on standby for party prep before a big occasion or night out. Because of the firming and lifting you get from this, I think it would be wasteful to use before bed as these effects wear off eventually, but love the ease of use and glowing results that this mask achieves! Available individually ($22) or a pack of 4 ($80).